Defender Nicky Devlin admits Walsall have been ‘poor’ in their last couple of home games – and is out to put things right in the FA Cup. The Saddlers welcome West Midlands rivals Coventry to the Banks’s for a first-round tie tomorrow, looking to avoid a third straight defeat there, writes Joe Edwards. 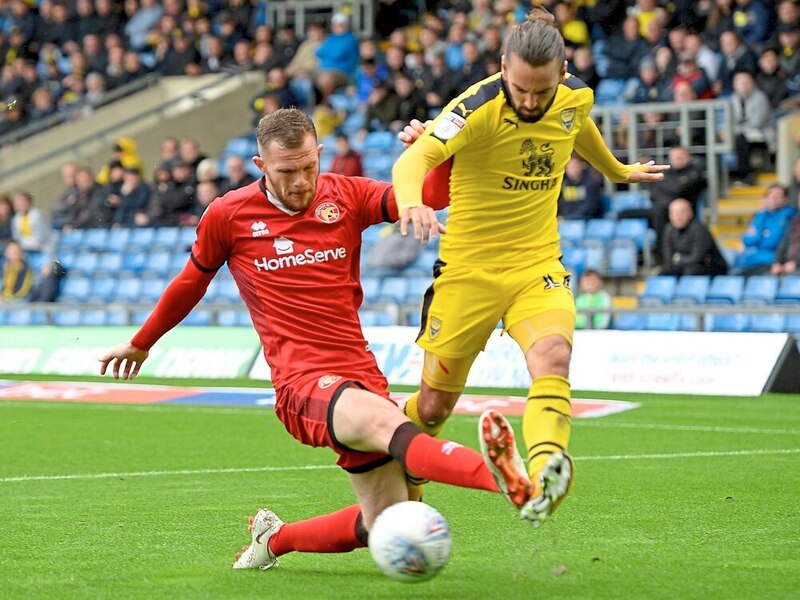 They lost 2-0 to Charlton on Tuesday, hot on the heels of being downed 3-1 by Burton last weekend, and full-back Devlin said: “It wasn’t good enough – again, at home, we’ve not been good enough. And what did boss Dean Keates had to say after the flat display against the Addicks, which saw them drop to 11th in League One? “He left it as an open floor for the boys to speak about what we think is going wrong,” said Devlin. “But everyone is saying the same things. “We have just got to stick together. We are going through a bad spell, that is going to happen over the course of a season. “We started the season brilliant, we’ve had a great spell but now we have hit a bit of a rocky patch. “We are not getting the results or the performances that we should be or that we were getting at the start of the season. Devlin insists this FA Cup clash, and next Tuesday’s Checkatrade Trophy encounter with Port Vale, are ‘massive games’. And he has warned his Walsall team-mates to be prepared for a fast start from the Sky Blues. “We have not got a league game for 12 days now, until Fleetwood away,” said Devlin. “It does takes your mind off the league. But it’s two massive games for us and we want to win the both of them. “Regardless of already being through in the Checkatrade, we are at home and we want to win the game. To give themselves the best chance of victory, the Saddlers will have to avoid extending a rotten run of giving away penalties – five in their last seven home outings in all competitions. “We had a spell at the start of last season doing that as well – it was constant,” added Devlin. “We are not giving ourselves a chance. We keep giving penalties away. We have to eradicate that quickly. Subs: Dunn (gk), Wilson, Fitzwater, Osbourne, Ronan, Gordon, Morris. Opposition: Burge, Thompson, Willis, Davies, Brown, Thomas, Ogogo, Doyle, Hiwula, Clarke-Harris, Chaplin. Amadou Bakayoko is now plying his trade with Coventry City. While Walsall striker Amadou Bakayoko made a six-figure move across the West Midlands in the summer, it is another former Saddler who could provide the main threat for Coventry City in the FA Cup tomorrow. 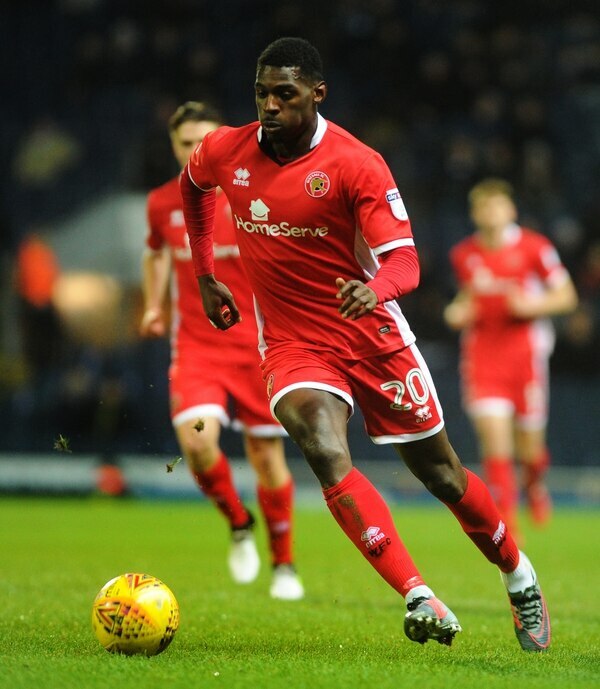 Jordy Hiwula enjoyed two loan spells at the Banks’s Stadium – scoring a total of 10 goals in 36 appearances one of which was at Wembley Stadium in the final of the Football League Trophy. And though he had a slow start to his Coventry career, failing to score in his first eight games, he is beginning to make up for lost time with four goals in his last six outings. That has coincided with a run of form that has moved the Sky Blues on to the fringes of the League One play-offs, three points and three places better off than Walsall. It’s not been quite so rosy for Bakayoko since his switch to the Ricoh Arena in the summer for a fee that could rise to as much as £200,000. In fact his time at Coventry has had many similarities to his Saddlers career – a starring role in the odd game, but long periods of frustration. He won the Sky Blues six points with a winner from the spot against Plymouth in August and a double in a 2-1 win at Charlton a month later. Bakayoko, though, is goalless since then and was an unused substitute against Accrington Stanley on Saturday. But Hiwula has backed his former Saddlers team-mate to take his chance when it next comes along. “He’s doing all the right things when he gets game time and in training as well, where he’s working really hard,” Hiwula told the Coventry Telegraph. “And once he gets his chance again he will take it. Speaking about his friendship with Bakayoko, Hiwula added: “We’re quite close. “We were at Walsall together so he’s one of my best friends here. “We played in a couple of games together at Walsall but he was a bit younger so he was only just breaking through to the first team. “But I could see his ability and what he could do, and I knew that if we ever got to play with each other again we would be dangerous. Dean Keates: "No matter what game we’re playing in – the Checkatrade, the FA Cup or the league – we want to win football matches." The Saddlers stormed to a 4-0 win over the Sky Blues in April 2013. Craig Westcarr and Jamie Paterson both got braces. Striker Morgan Ferrier will be eager to seal passage to the next round by ending a goal drought which has spanned eight games. Former Saddlers loanee has hit his straps at Coventry, netting four goals in his last six games, helping the Sky Blues into the League One play-off race. Looking for his first ever goal in the FA Cup.